We've been seeing images of a white version of the Nexus 4 for several months now (including some recently-leaked press shots), but LG just officially took the wraps off of it. This new N4 is virtually identical to the current edition in hardware specifications, as it features a 4.7-inch 1280x768 display, 1.5GHz Qualcomm Snapdragon S4 Pro, 2GB RAM, and of course Android 4.2; so no surprises there. Oddly enough, the handset will start its journey in Hong Kong on May 29th, and will "roll out globally in select markets in Asia, North America, Europe, and the Middle East over the next several weeks." 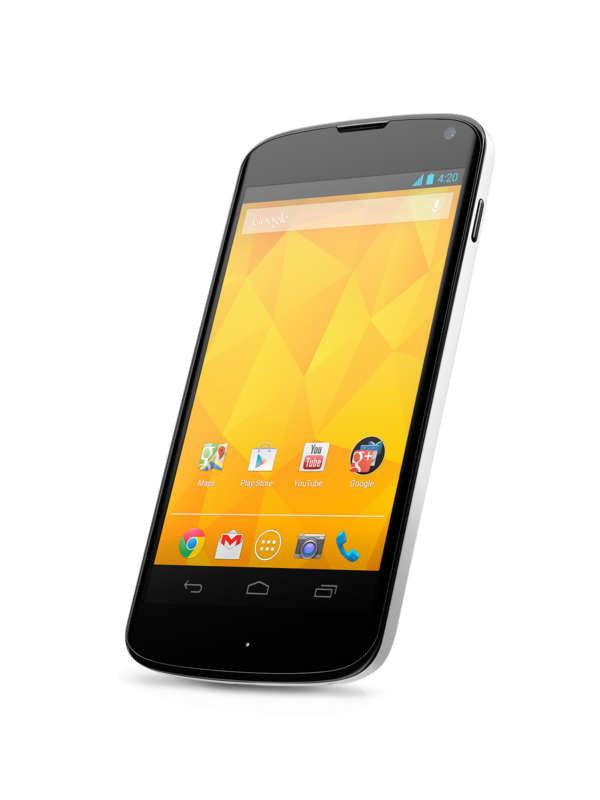 That's a step away from the norm, where Google usually releases new Nexus devices in the US Play Store first. Remember earlier today when T-Mobile inexplicably cranked up the price of the LG Nexus 4 from $199 to a whopping $399 on-contract? Well, you don't have to worry about folks being gouged like that anymore. 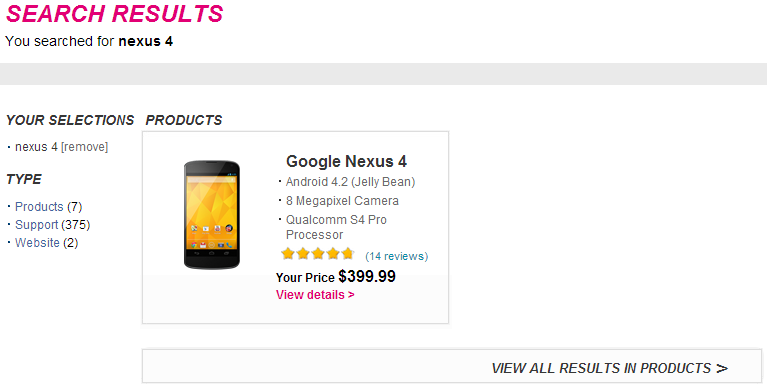 No, T-Mobile didn't realize how boneheaded that price was. 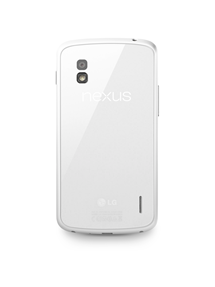 It has just removed the Nexus 4 from the website entirely. 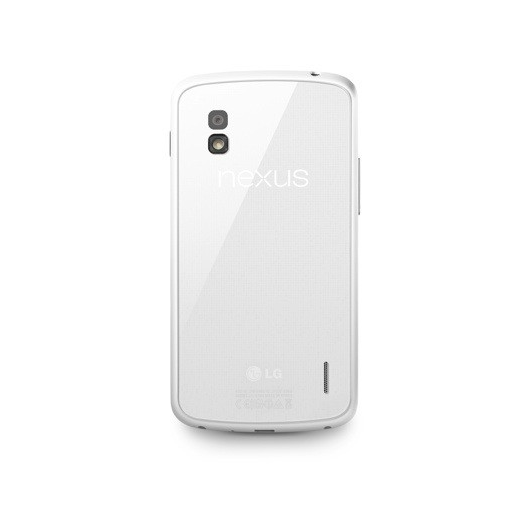 The device does not show up in the list of Android phones available from T-Mobile, but it does still appear in search results on the site. 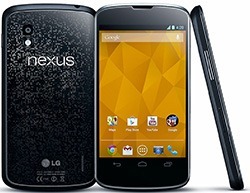 The Nexus 4 may not be officially available until November 13th, but that didn't stop someone from yanking the system dump and uploading it for all the world to enjoy. Devs can grab the file now and start tinkering away with the goodies found inside the 291MB zip. 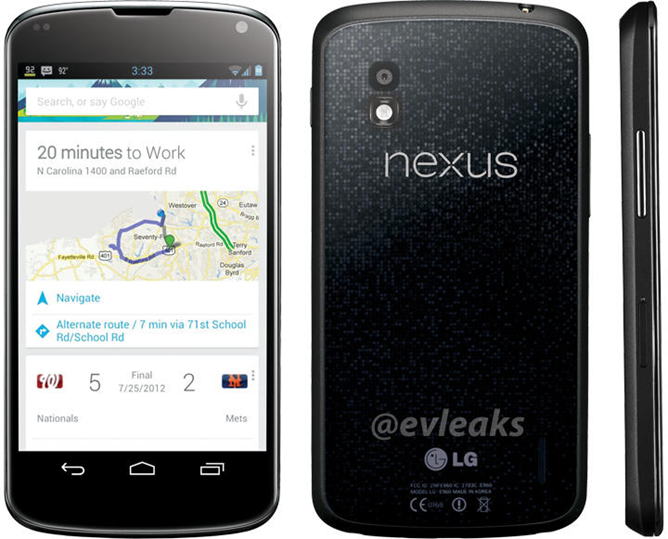 [Update: Another Angle] Alleged Press Shot Of The LG Nexus 4 Leaks, But Is It The Real Deal? 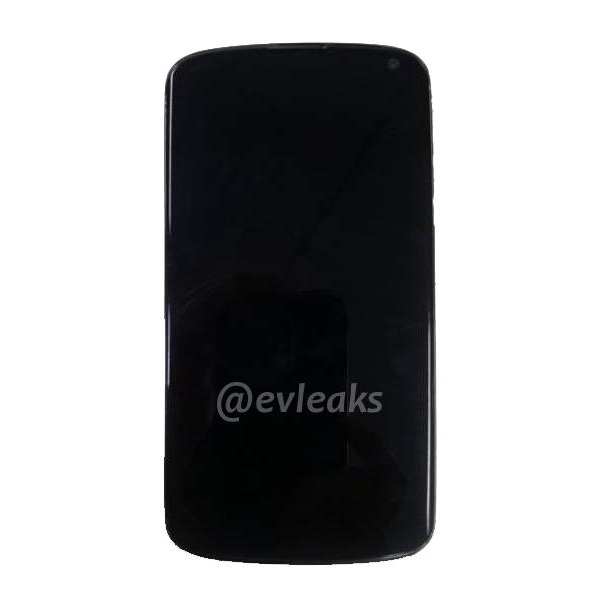 Just a little while ago, the first purported press shots of the LG Nexus 4 hit Twitter, thanks to EVLeaks. Almost immediately after looking at the image, though, it's clear something's... not right. 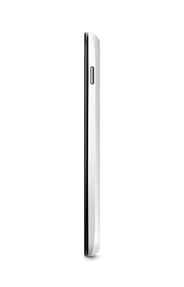 Let's start with the notification bar - look familiar? 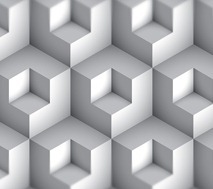 If you've ever run the AOKP ROM, it should. 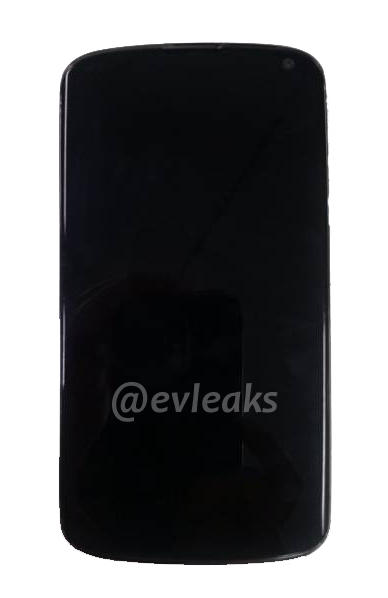 Both the centered clock and battery percentage (the one actually in the battery icon - it's barely visible in the render) are signature customizations of the ROM. 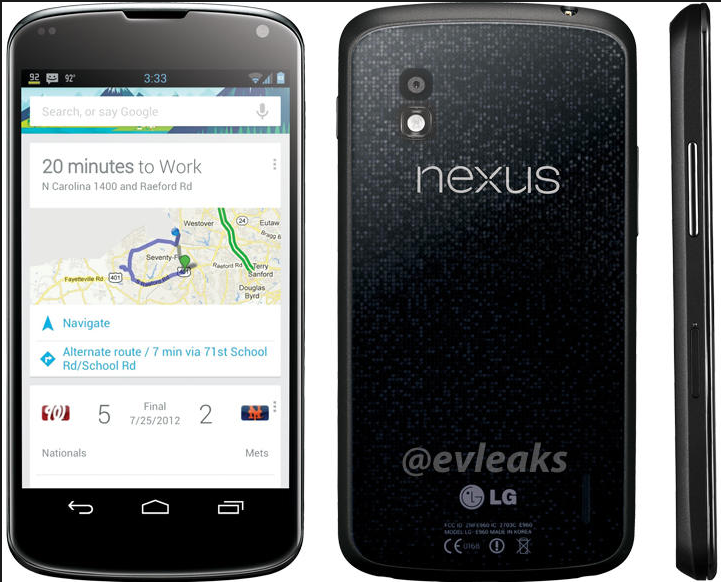 Given evleaks' previous accuracy, combined with current rumors, it's probably safe to say that this is the real deal.